Have the media built up the transfer window expectations way too much for Arsenal FC? Even before the window started we were linked with a whole bunch of players, and as a modern day Gooner I personally know not to get too excited. Even in November when we were linked with our first of two stories of a thirty million pound move for Edinson Cavani, to say I laughed it off was a major understatement. I along with many other gooners have the same belief that if a player is anything over that scary sixteen million pound mark then we just do not sign them, never has happened so far and considering how tight the board and Wenger seem to be with money only the bravest (and maybe the most optimistic) Gooners would fall for that old story time and time again! So we were then entangled in a web of media-made nonsense, as I’m willing to bet that upwards of 95 percent of the stories coming out from around Europe are completely made up! The first that really caught my eye was maybe a week or so before the new year with a specific website saying that “A Transfer fee has been agreed for Arda Turan and Arsenal”. This I admit did grab my attention! He is a player that would totally help our creative line and can play anywhere across the midfield and wings. Then the fee of twenty million pounds was suggested and after about 5 days the story fell off the face of the earth. So with that story the water broke on the first of January 2013 (surviving a media-made Apocalypse mind you) and from then on the “Arsenal have seventy million pounds to spend” stories started to circulate. With the twenty one days that have passed since the window has opened and for the sake or reiterating what I have already said that 95 percent of the stories floating about were either dead in the water or the ones which never had any real validity to them had faded away and like the cycle of the transfer window’s existance from the prospective of a footballing journalist, it was time to either recycle some of the old stories, come up with some new ones, or do some digging to find out what Arsene and the board had in mind; indeed if anything. Which brought us to strong links with Wilfred Zaha then Lecister City’s Anthony Knockaert and an unknown versatile Zambian defender, Stoppila Sunzu. Fees were agreed, terms were agreed: the whole nine yards! Yet no one linked had made a move, and still the stories persisted with twenty five million pound moves for Mats Hummels, thirty million pound moves for Edinson Cavani (again) and Gonzalo Higuain and even matching the release clause of Mario Gotze; all these rumors failing to inspire by now even the most optimistic of Arsenal supporters. Then the twitter breakthrough that Arsenal had made a thirty million pound move for an unknown player which for all we know, could have been seen by the mystery club, and instantly turned down before the player himself even got out of the showers from a training session! Regardless of what had come in the first three weeks of the window nothing has given any indication that Arsenal and indeed, Arsene Wenger has an eye on any specific player even if it is abundantly clear that’s what is required. My point to this article is that the media have built up all these big money stories (and of course the Arsenal board and Arsene Wenger are not helping themselves by saying they have money to spend) and so far nothing has even given our fans one glimmer of realistic hope! 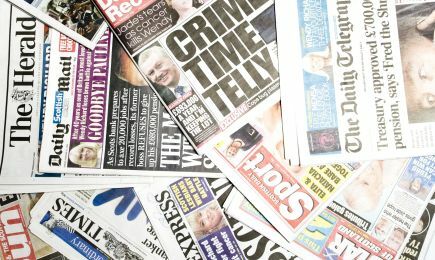 Has the media even caused us to give up on targets because as soon as any legitimate interest from Arsenal came it was spilled out to the media so quickly that the club would make decisions based on what was coming out of social media and and the newspapers? I for one hope that this isn’t the case, but this is the sad reality of transfers at this point in time. Coincidentally, what if Arsenal actually had a target in mind and were preparing a bid only for someone in the public to “make up” a story and for it to go all over the internet and by the time a call was made the initial enquiry for x amount of dollars for a player had increased because the other club had learned that Arsenal (by no fault of their own) were planning a move for a player? These are just a few of what i am sure are thousands of scenarios that football clubs all over the world go through daily and being that I am an Arsenal fan, this is the only club I care about and I hope that of the near hundreds of players we have been linked to within this window alone, that we will manage to sign even one of them because at this point we are staring down the barrel of a non Champions League place and it would be a real shame if the media at all had a hand to play in ruining an attempted move for any given player. Above all else, there is still nine days left and Arsene does always have that card up his sleeve, let’s just hope it’s an ace.